That’s Sherry from Young House Love. If you haven’t heard of her, she and her husband, John Petersik, just happen to run one of the Best Home Improvement Blogs you’ll ever read (and that’s not coming from us, Domino Magazine just voted them). 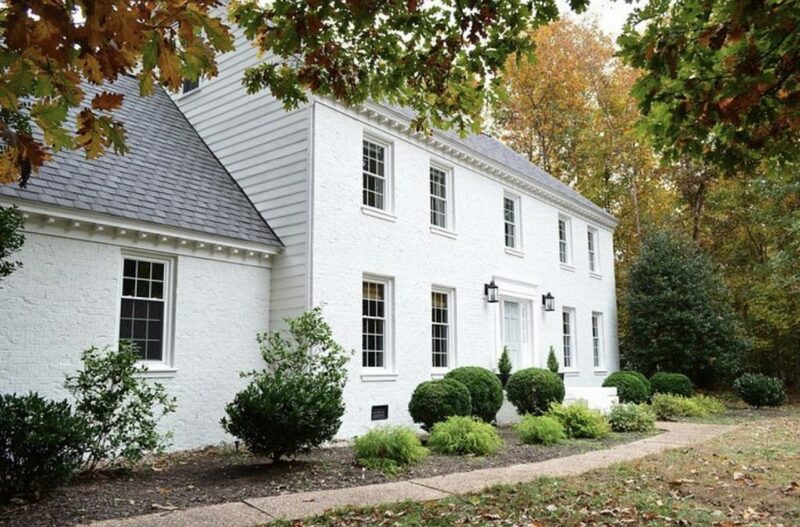 After months of public debating with their millions of followers (and each other) about painted brick, they decided to use Romabio BioDomus I to makeover their 1980’s, Virginia brick home, in what they frequently refer to as their most visually impactful renovation project, ever. . . And, they’ve revealed all the juicy details about it along with tons of before, during, and after photos, in their latest blog post! The best part is we didn’t sponsor it one bit! That’s right, they found us. 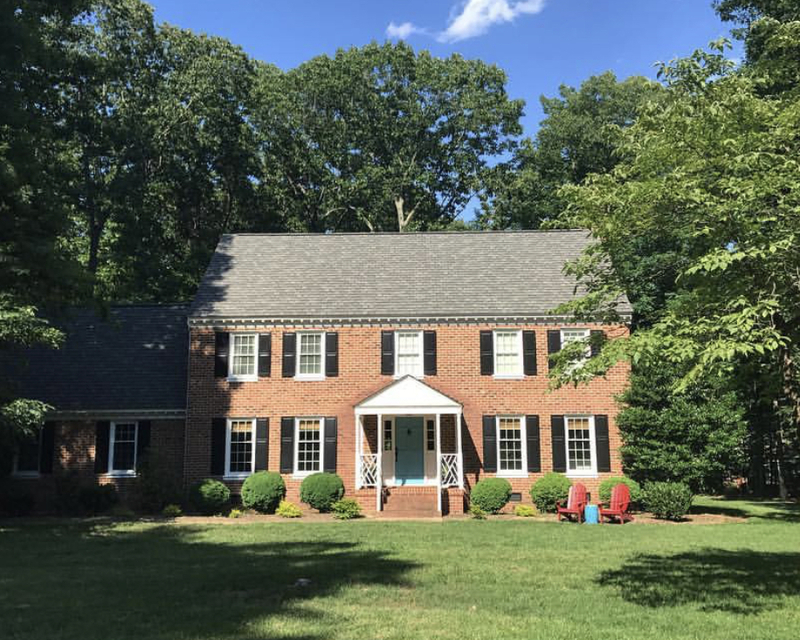 They researched our product extensively and listened to their enthusiastic followers (homeowners and PROs just like you) that recommended Romabio Paints. And they even used one of our favorite Recommended PROs – Lance from Classic Finishes. Here’s his cool video. Don’t forget to download their podcast. In episode #119, Sherry and John discuss all of the behind-the-scenes components that went into their exterior makeover. They had some ups and downs that can happen when you have a major project renovation, but with their typical wit and honesty, it’s very amusing and entertaining. And just look at that house! What a change. If only walls (or brick) could talk. But this isn’t the only thing we’ve been working on. We have other exciting reveals. Jennifer of the lovely @NotingGrace design and DIY blog used our Interior paint for her One Room Challenge, hosted by the Home Love Network and Better Homes & Gardens . And wow, it’s a beauty. 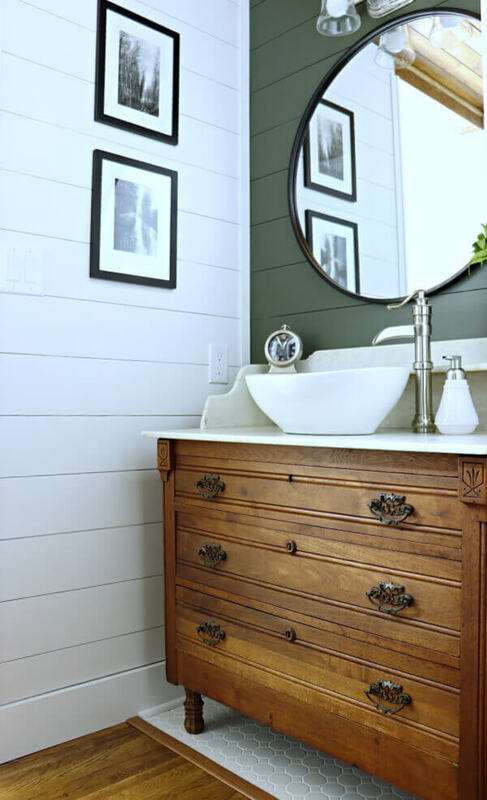 She redid her bathroom and used a white on some walls, and then a deep green on an accent wall. The green really goes perfect with our toxin-free mission of natural mineral based paints. Read all about it in Jennifer’s blog and find out more info about the Interior paints here. 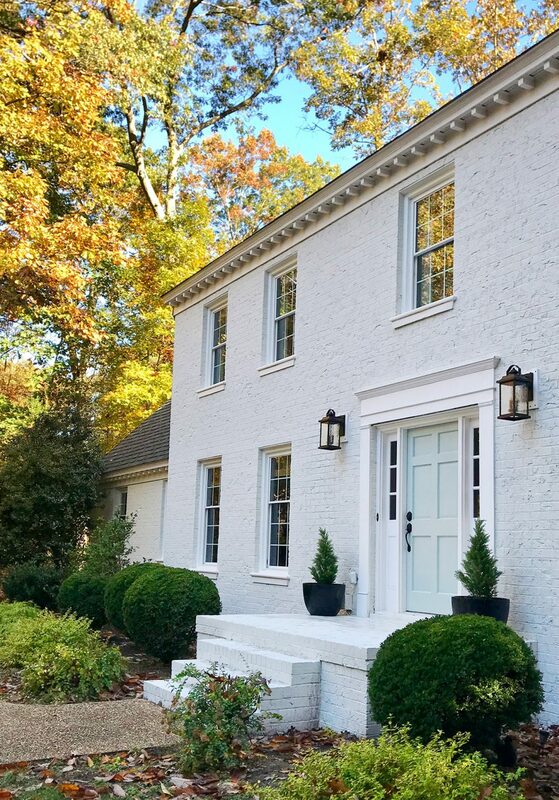 If you’re on Instagram, you’re going to want to follow Becky Cunningham of Becky Cunningham Home, and Astleigh Hill of the Darling Do blog as they race the weather to complete their exterior home makeovers with Romabio Classico Limewash. But even more exciting, you can now check up on all of our favorite bloggers and Instagram accounts in one place. Check out the Latest Buzz on Romabio. And there’s more! 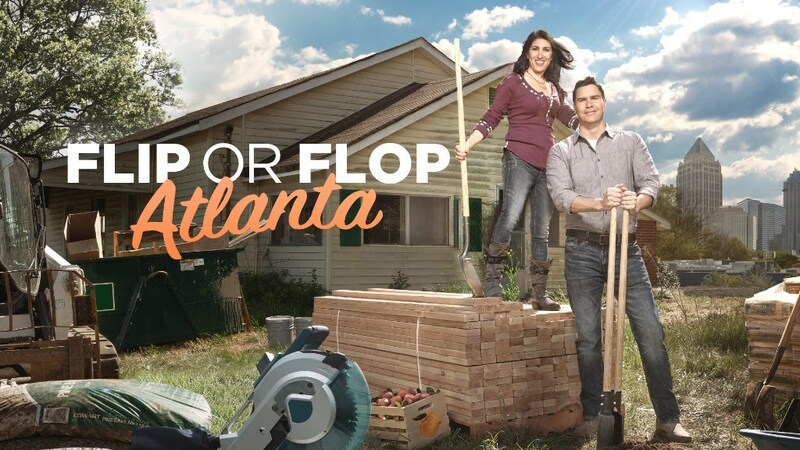 We can’t tell you everything right now… but we definitely want to encourage you to tune in to Season 2 of Flip or Flop Atlanta, every Thursday night. Photo credits: All Young House Love photos courtesy of John & Sherry Petersik. All Noting Grace photos courtesy of Jennifer Fancher. 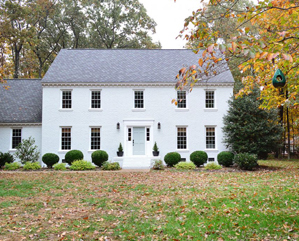 Flip or Flop Atlanta image courtesy of HGTV.